Wm. 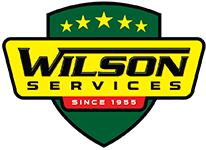 H. Wilson Septic Service (Wilson Services) has been servicing, repairing, installing and maintaining our loyal customer’s septic systems in Northern NJ. Wilson Services has been working towards developing standards for the septic industry in NJ, and was a founding member of the former NJ Septage Management Association (NJSMA). When you hire us, we believe you are buying the best-expert skill, knowledge and a promise of integrity. For over 50 years, Wm. H. Wilson Services System Service (Wilson Services) has been servicing, repairing, installing and maintaining our loyal customer’s septic systems in Northern NJ. Wilson Services is a founding member of the NJ Septage Management Association (NJSMA) and has been working towards developing standards for the septic industry in NJ. When you hire us, we believe you are buying the best-expert skill, knowledge and a promise of integrity.